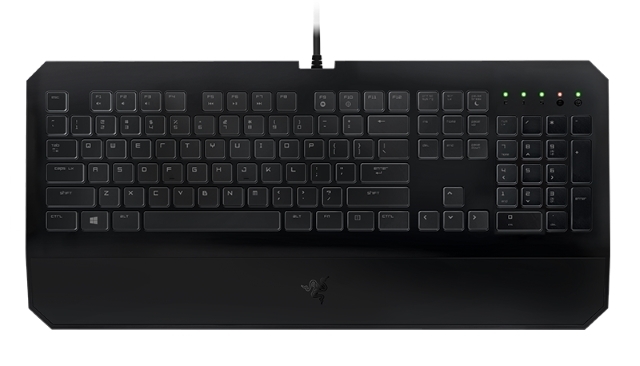 If you’re tight on your budget, the Razer DeathStalker Essential makes a perfect choice. Razer is a brand well known for its gaming products, and the DeathStalker Essential continues to live up to the brand’s fame. While you can get cheaper chiclet keyboards, none of them offer the gaming performance like the DeathStalker Essential. The chiclet layout offers a quiet gaming experience, with good key travel. The button shapes are comfortable, and the keyboard also comes with a wrist rest for prolonged gaming hours. That being said, measuring at 18.4 x 8.43 x 1.08 inches, it does require some extra desk space. 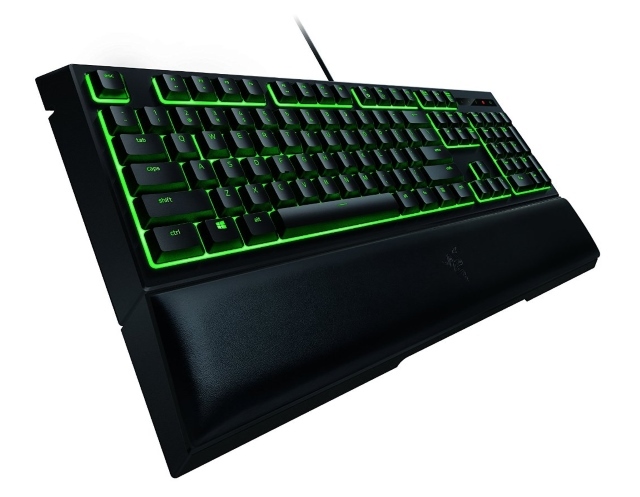 Furthermore, while being Razer’s entry level keyboard, the device does come with support for Razer Synapse 2.0, which basically acts as a smart way of controlling and modifying your keyboard. Additionally, the keyboard also comes with its own Macro feature, that allows you to set certain key combinations to perform a set operation. 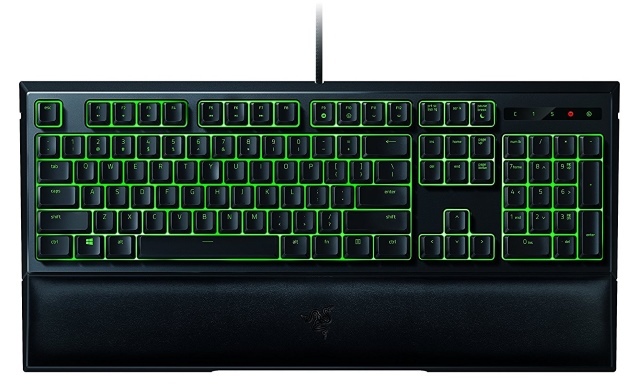 There is also a Backlit option available for the Razer DeathStalker Essential, but that would set you back an extra $20. If chiclet isn’t your cup of tea, but your pocket is tight, you might wanna take a look at the Corsair K55. With more than 20 years of experience in the computing world, Corsair is one of the finest companies out there for PC peripherals. 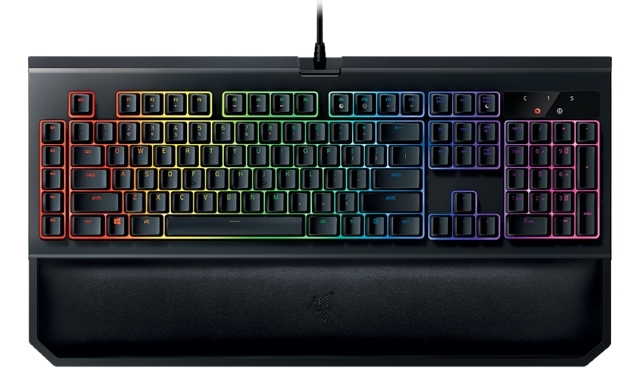 As compared to the Razer DeathStalker Essential, the Corsair K55 is a membrane keyboard, which should feel much more natural to normal users as well as novice gamers. The keyboard offers a sturdy plastic casing and rubber padded feet to prevent slipping on your desk. There is also the standard flip feet for an angled-feel or flat-feel depending on your style of typing. The key travel on the K55 is great, and keys themselves feel responsive. Compared to the DeathStalker Essential, the K55 does have a wrist support as well, with the added benefit of it being detachable. So you can use it as per your preferences. Not to forget, the K55 also includes 6 Macro keys that you can customize to your liking. The Corsair K55 sits comfortably between the DeathStalker Essential’s Standard and Backlit options, priced at a fair $49.99. If your pockets are heavy, and you’re looking to spend big on your gaming rig, the Corsair K95 RGB comes as a great choice for your gaming keyboard. 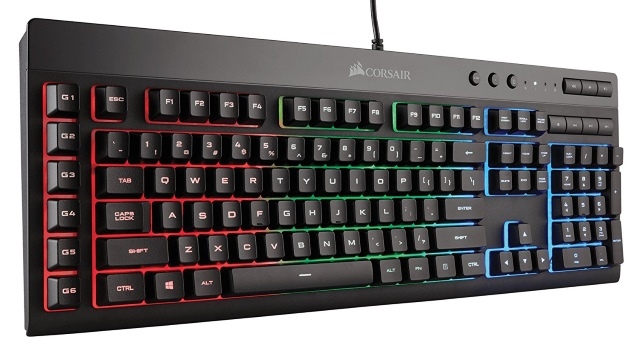 The Corsair K95 RGB is the upgraded version of their previous Corsair K95 Vengeance. The shorter name, apparently, comes with a plethora of tweaks underneath, which makes it one of the best high-end gaming keyboards all around. Corsair K95 RGB offers you premium features for the price that you’re paying, with the machined aircraft-grade aluminum base built to last an entire lifetime of gaming. The keyboard comes with adjustable height, and a removable textured wrist-rest with a soft-touch finish all over. It is one of the most comfortable keyboards that I have personally used. Additionally, the keyboard has 18 macro buttons, more than any other keyboard out there. Also, there is a roller volume toggle, which I find a nice touch in itself. And how can we forget the biggest feature that has been mentioned in the name itself – the RGB lighting. 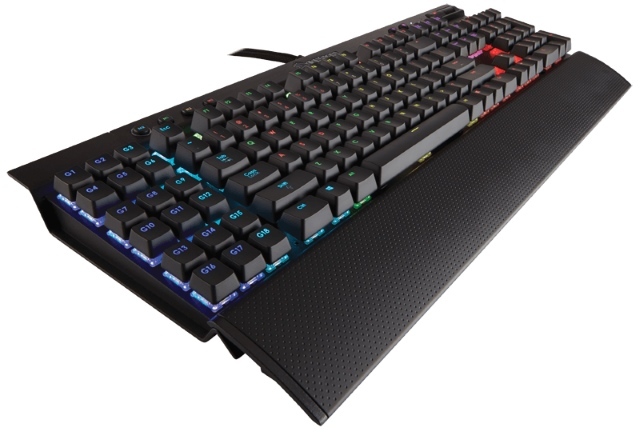 Much like Razer’s premium offerings, the Corsair K95 RGB has an individual backlight under each key and comes along with Corsair Utility Engine (CUE) that allows the user to customize the keyboard’s lights the way their heart wants. If money isn’t a worry, the K95 RGB is one of the best gaming keyboards that money can buy. For any gamer out there, SteelSeries needs no introduction. While being pioneers with gaming headsets, SteelSeries packs in a great line up of gaming keyboards as well and the SteelSeries Apex M800 is their flagship offering that provides the perfect balance between practicality and eccentricity. The Apex M800 at its first glance might look quite mainstream to you, but once you take a closer look, you’ll unravel its pure beauty. Everything about the keyboard is massive, from the elongated plastic chassis to the oversized keycaps to the ridiculous dollar bill-sized space-bar slapped into the middle. SteelSeries is known for its build quality, and the M800 is not shy to show case its sturdy and solid chassis. 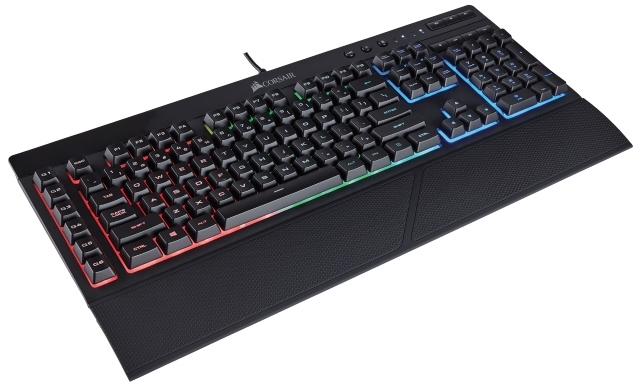 The keyboard also features RGB backlit, with SteelSeries’ originally developed QS1 switches, that are a class apart from the usual mechanical keyboards. They offer a cleaner, more even lighting with thinner and shorter prongs. According to SteelSeries, the tournament-grade Apex M800 is the world’s fastest and most programmable mechanical gaming keyboard, and in my experience with it, it certainly felt like one. 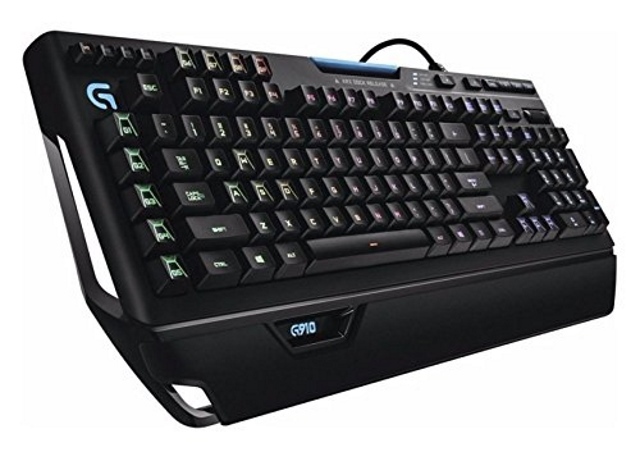 Logitech is another trusted name in the field of gaming peripherals, and the Logitech G910 is no different, with it being one of the most durable and reliable keyboards of the lot. Building on the highly successful predecessor G910 Orion Spark, comes the G910 Orion Spectrum, becoming a much slimmer version yet sporting improvements in the overall functionality. 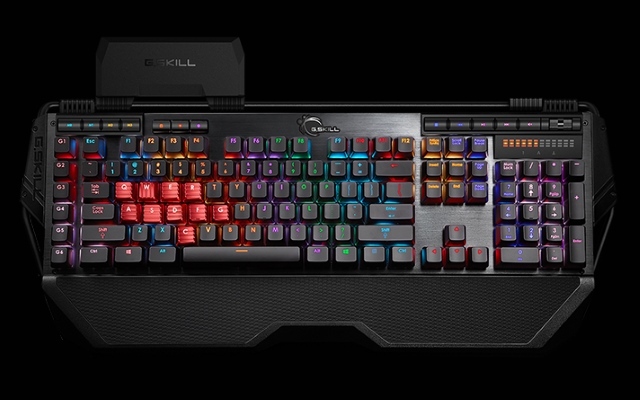 Much like other gaming keyboards, the G910 Orion Spectrum packs in impressive RGB lighting, that users can customize as per their preferences. The Orion Spectrum also has a small dock on its back edge that slides back to accommodate a smartphone or a small tablet, and the corresponding Arx app is available on Android and iOS. 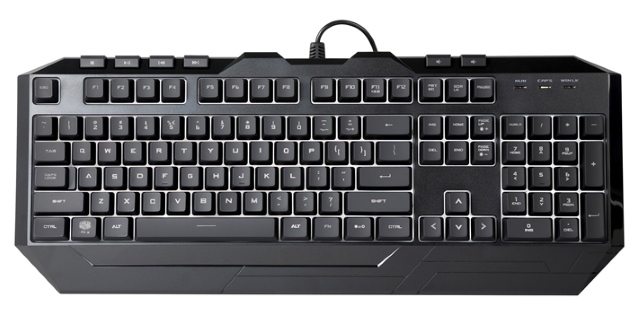 As compared to other gaming keyboards, the G910 also offers 9 Macro keys that can be easily programmed using either the PC software or the aforementioned Arx app. 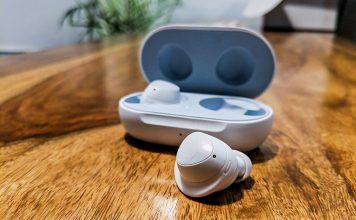 Furthermore, the build quality is excellent, and its lights, cut-away sections, and wide designs help in giving the user a great gaming experience. If you’ve been into mechanical gaming keyboards, surely you must be familiar with the Cherry MX Brown mechanical keys. They are the most common, and slightly more preferred form of mechanical keys. 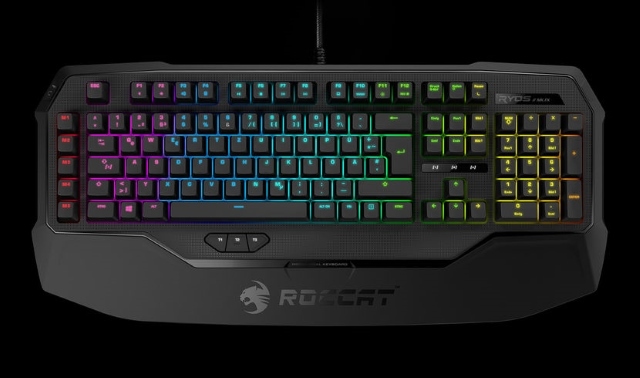 The ROCCAT Ryos MK FX gaming keyboard is one of the finest implementations of the Cherry MX Brown mechanical keys and completely justifies its price tag. The Ryos MK FX features a great key travel along with responsive and tactile keys that really feel solid. It also features a macro key row which offers 10 macros, when counting the EasyShift[+] key combo. 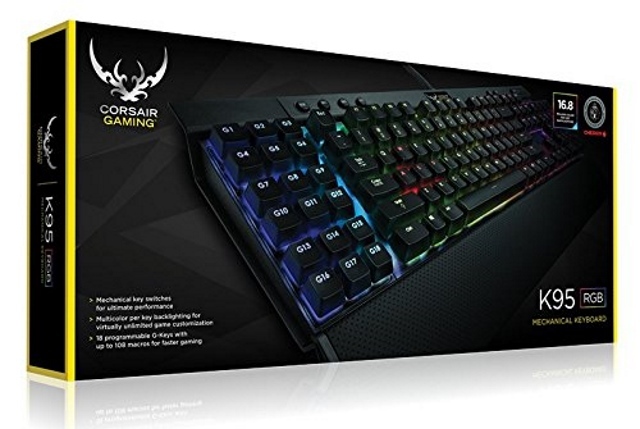 The Ryos MK FX is one of the biggest and the heaviest gaming keyboards out there, offering a sturdy build quality, that ensures that it can tolerate the highest of gamer rages. The keyboard also has a headphone and USB passthrough, though it is worth mentioning that the keyboard itself makes use of 2 USB ports for its functioning. While there are other options in the same range that provide almost similar raw specs, the build quality and responsiveness of the keyboard sets it apart from the herd. If mechanical keyboards are too stiff for you, then membrane keyboards should work well for you. 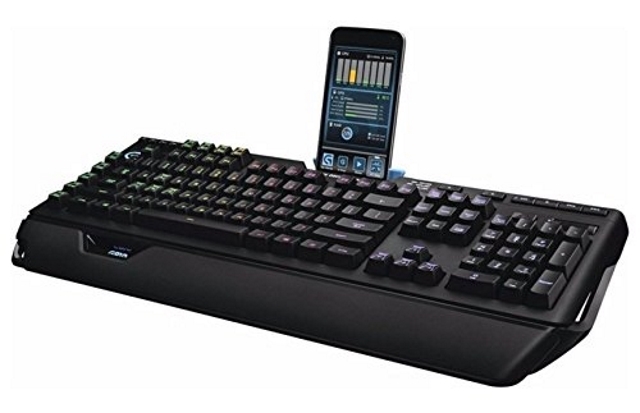 Membrane keyboards are what you generally find with a typical office keyboard, though a membrane gaming keyboard is something much more advanced. As compared to mechanical keyboards, membrane structures are quieter and less tactile. 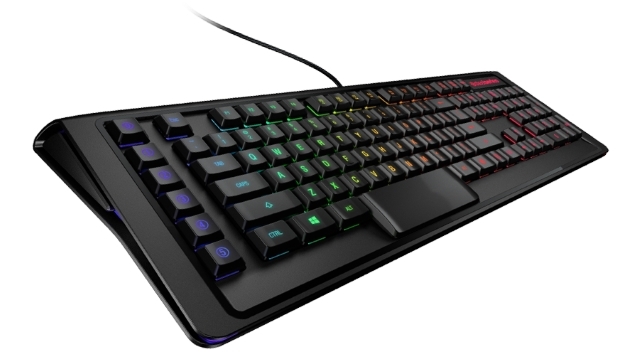 Unlike other RGB Lighting keyboards out there, the Cooler Master Devastator 3 comes with backlit options, in which you can choose from green, yellow, red, blue, violet, turquoise, white, and none. Additionally, the Devastator 3 features an in-house design for the keys which offer more tactile satisfaction and improved feedback. Lastly, the combo also offers a gaming mouse with CPI up to 2400 and feels great as well. Now how could we leave out Razer from this list? Razer has something great to offer in each style of gaming, and the Ornata Expert is a great membrane keyboard offering from the pioneers in the gaming industry. Think of the Ornata Expert as a membrane version of the BlackWidow Chrome V2, which we will be talking about later in this article. Yes, that’s right. 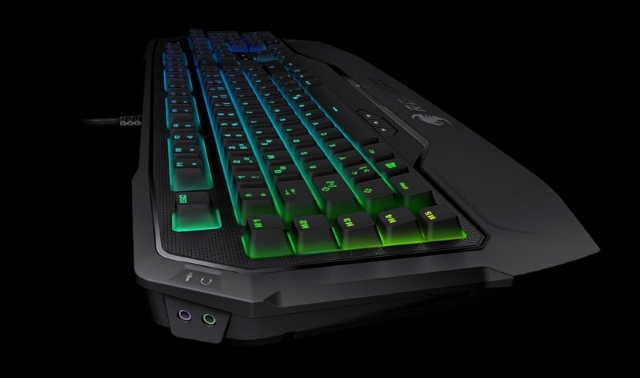 The features are almost the same with the padded wrist-rest and the per key RGB lighting. 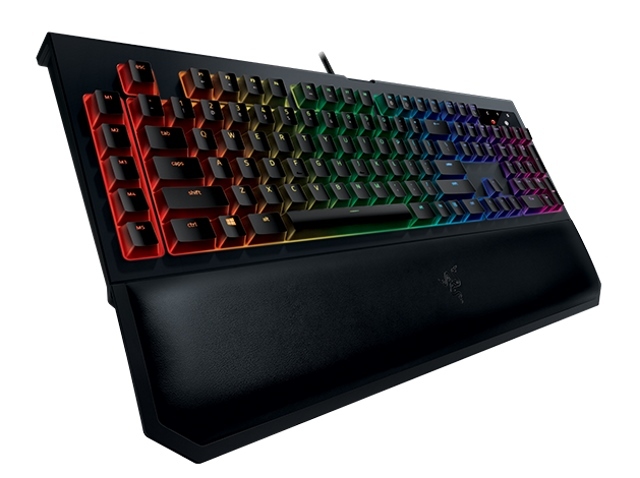 Although there is a green backlit option available as well, I would personally spend the $30 more simply because I love the Razer Chroma lighting. Or if you’re too heavy on the pockets, you could go for the Destiny Chroma Special Edition for another $20 over the RGB version. The Ornata Expert also features a custom designed keycap that has been made shorter to reduce the time it takes for your actions to register. If you’re coming from using a budget gaming laptop or from an Apple computer (I’m judging you already), you must be accustomed to chiclet keyboards. They are, by far, the quietest keyboards available in the market. While gaming keyboards and chiclets don’t really mix well usually, some manufacturers have been able to perfect it in their offerings. 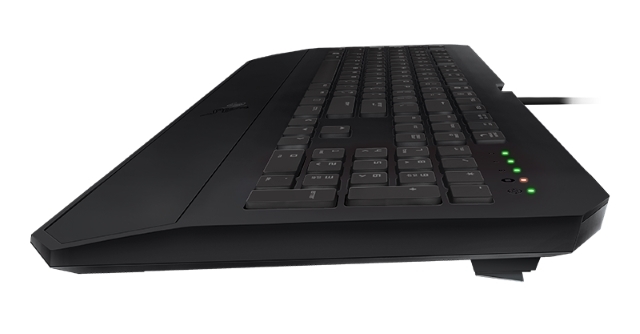 The Logitech K740 is a superb example of the same. The K740 comes as an elegant slim-profile keyboard that, as the name suggests, employs backlit keys to both add a touch of flare to your desktop and make it easier to type in low light conditions. Thanks to the chiclet design, the keyboard is extremely thin and has a very small footprint. As far as the comfort is concerned, the keyboard comes with a wrist rest as well, that feels quite comfortable. Furthermore, the key travel is great, and the typing feels very natural on this. The K740 is one of the neatest looking gaming chiclet keyboards out there, and it truly worth every penny. Once again, we have another Razer product amongst us. No, I am not a fanboy, the fact is that Razer is actually that great. Possibly the best chiclet keyboard on the market with a plethora of features under its hood, the DeathStalker Expert is one of its kind, meant not only for gaming but proves to be great for normal day-to-day use as well. The DeathStalker Expert’s body has a nice matte black finish, and the palm rest is glossy with a semi-smooth honeycomb pattern. The keys are the main aspect of any keyboard, and the key travel on the DeathStalker Expert feels just right. Additionally, the keys are low-profile and come with a semi-gloss black finish, and they’re all laser engraved so they’ll never rub off. It comes with a nice wrist rest with a textured finish, and the keyboard even has support for deactivation of the windows key (dubbed as the Dedicated Gaming Mode). Razer will always be the best company overall for all sorts of gaming needs, and we just couldn’t leave out Razer from this list. That being said, the premium features do come with a price tag. The BlackWidow Chrome V2 is Razer’s flagship keyboard, which comes equipped with all the bells and whistles needed to please hardened PC gamers that want the best. While the keyboard is quite large, the keys feel a little compact as compared to the Corsair K95, but this could very well suit some users if they prefer less key travel. The Razer BlackWidow is very well built, with a shell made up of solid plastic that should see you last the keyboard for quite a few years to come. The matte-black finish on the keyboard is minimalistic, and there is also an illuminated logo on the front end of the keyboard. The BlackWidow also does come with a palm-rest, with plenty of padding underneath it, to allow for long hours of gaming sessions. It also has an additionally USB expansion port, as well as a 3.5mm jack. These were all the common aspects of the various types of BlackWidow Chroma V2 available. 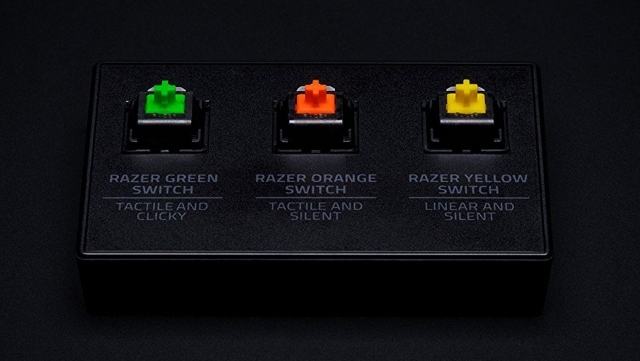 That’s right, there are 3 different types of switches underneath the BlackWidows available for you to choose from – Razer Green, Razer Orange, and Razer Yellow. These 3 types differ in the way the mechanical keys have been constructed. The Razer Green switches are tactile and clicky, the Razer Orange switches are tactile and silent, and lastly, the Razer Yellow switches are linear and silent. Depending on your gaming style, you can choose the mechanical structure of your choice. You might be thinking what is a memory module company doing here, right? It’s not like Corsair is any different, but G.Skill is a company primarily known for its overclocked RAMs for PCs. What you might not be aware of is the fact that the company also produces some excellent gaming peripherals as well. The KM780 is their flagship keyboard offering, and it just brushes past its competitors with ease – providing some of the best features along with a superb price tag. The RIPJAWS KM780 features a brushed aluminum top cover that looks kind of classy along with a metal bar wrapped around the edges, giving it an incredibly solid and stiff feel. The left side of the keyboard features six dedicated macro buttons, along with a macro recording button. Additionally, you have function keys that let you disable the Windows button, adjust the backlight brightness, and a customizable timer function complete with on-screen notification. As far as the design part is concerned, the keyboard features per key RGB lighting which can be customized as per the user’s preferences. Also, like the Corsair K95, the KM780 features a scrolling volume control, that in my opinion, is nifty yet impressive. 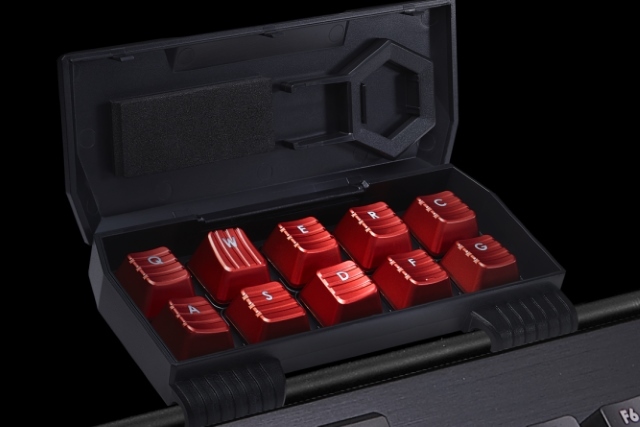 Along with all these features, the KM780 offers eight replaceable keycaps that are textured, beveled, and solid red instead of black to replace the WASD keys and the ones around them, and there’s also a handy case that snaps onto the aforementioned metal bar that encircles the keyboard, so you can keep track of them. The RIPJAWS comes with its own software for all your customization needs, and it is full of useful options inside it. 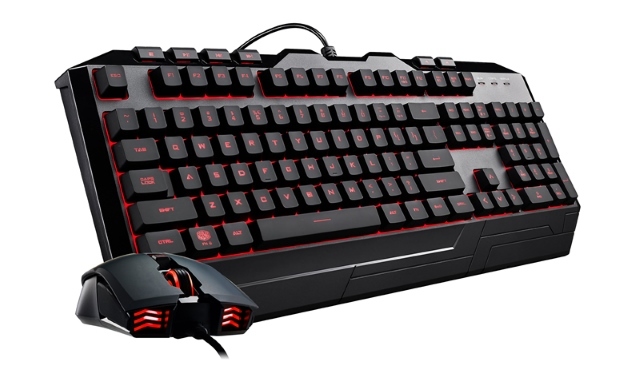 Overall, the RIPJAWS KM780 is our pick of the lot for the best overall keyboard. Building your gaming rig can be a complex task because you have a plethora of options to choose from. 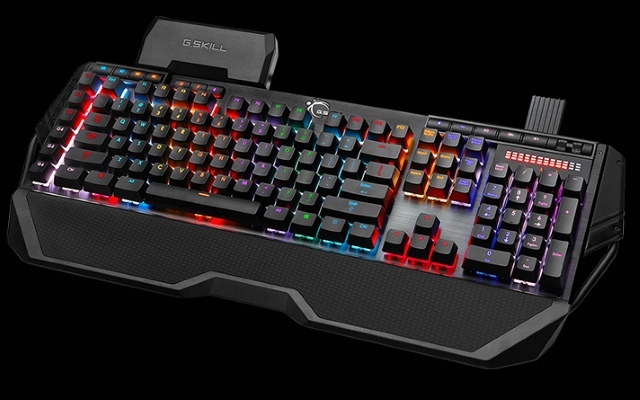 A keyboard is probably the most used component of any gaming rig, and you want it to be durable yet comfortable for those long hours of gaming. Our list of the best keyboards available should help you select the best from each spectrum of the competition. So there you go. We’d love to hear about your gaming rig and how you’ve customized it in the comments section below.